WRITE :/ ‘TOtal Number of Work Process:’, lv_wps. 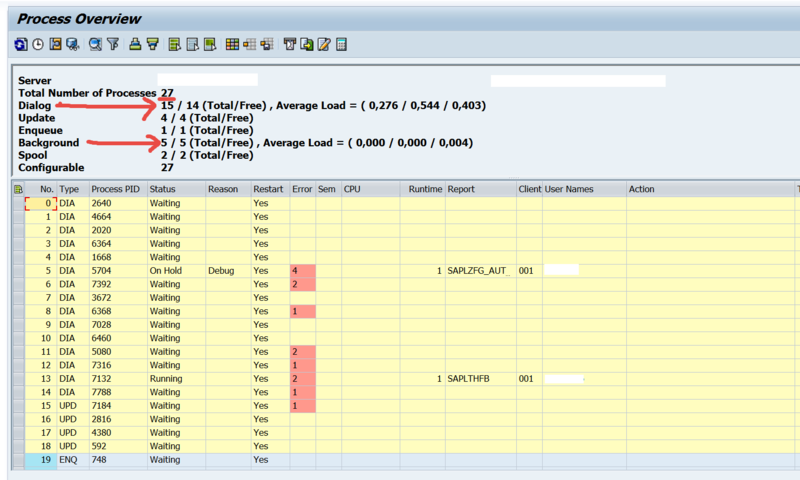 WRITE :/ ‘TOtal Number of available Dialog Work Process:’, lv_dia_wps. WRITE :/ ‘TOtal Number of free Dialog Work Process:’, lv_fdia_wps. 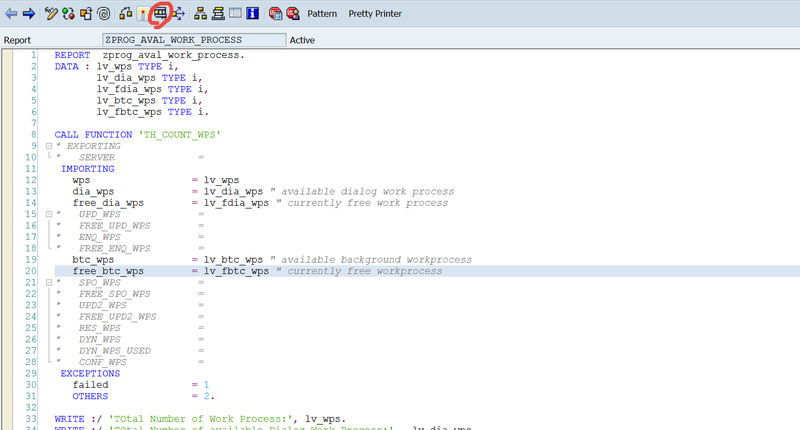 WRITE :/ ‘TOtal Number of available Background Work Process:’, lv_btc_wps. WRITE :/ ‘TOtal Number of free Background Work Process:’, lv_fbtc_wps. Step2. Go to Tx- SM50 and see all the work process details.